2018 Health & Wellness Trends: 11 Hottest Trends To Watch! In 2017, the definition of "wellness" shifted. At mindbodygreen, we know that wellness is bigger than any individual’s journey. We are banding together to heal one another, our communities, and the planet. mbg's new look and feel are reflective of our evolved purpose, and so is our new mantra, one we hope will illuminate the way to a better, brighter 2018: You. We. All. We're excited that this year’s trends set the stage for a world in which wellness is more accessible than ever. In previous years, our predictions were spot on. Back in 2015, we called out supplement startups and the role of telomeres in aging. In 2016, guac was everywhere (we're not complaining), healthy tourism became an industry, and people made their homes sanctuaries complete with greenery and succulents. Last year, we were one of the first to call women's spaces and circles a trend, and we also saw personalized nutrition, medicinal mushrooms, and ketosis take off. This year, big corporations are responding to consumer demand for better personal care products, higher-quality food, and sustainability practices. At the same time, cutting-edge research on intermittent fasting and the microbiome offer promising outlooks for feeling our best and healing disease. Protecting the planet with #zerowaste initiatives will catch on big time in 2018, and femtech will drive a new wave of women’s empowerment. If our annual revitalize event was any indication, our priorities are shifting rapidly—giving us renewed motivation to take care of ourselves, one another, and our Mother Earth. We spoke to industry experts and pored over the latest research, and all signs point to a 2018 that’s more intentional, purposeful, and mission-driven. It’s time to use the incredible practices we have established to make the world a better place for ourselves, our children, and our planet. Here's to a progressive 2018! 1. Protecting the planet will become an integral part of our wellness routines. The experts have spoken: Atmospheric researchers and climate scientists have told us that, yes, human actions do affect the likelihood and intensity of such catastrophes. One especially sobering piece in New York Magazine this July (which went on to be the publication’s most-read article of all time) warned that, without major change, the world could become uninhabitable—a dystopia of constant draft, insufferable heat, and resilient diseases—in the next 100 years. And we are already starting to see evidence of climate change affecting our health. Our food supply is feeling the heat, chronic diseases are worsening with pollution and temperature extremes, and our mental health is even taking a beating in some cases. This puts the onus squarely on us to clean up our act for our collective health, our children, and the future of our planet—and thankfully we’re starting to step up to the plate. While Donald Trump announced plans to pull America out of the Paris Climate Agreement this summer, many local governments announced plans to continue moving forward with its goals regardless. As of today, 47 cities have committed to generating 100 percent of their community-wide energy from renewable sources, and solar and wind power accounted for a record percentage of energy production in the United States this year. Paul Hawken, the spirited environmentalist who wrote New York Times best-seller Drawdown and who won this year's mbg lifetime achievement award, is confident that sustainable trailblazers can and will reverse climate change. "If you look at the science and you're not pessimistic, in a sense you don't understand it," he says. "But if you look at the people who are addressing the problem at hand and don't feel hopeful, then you don't have a pulse." It’s no coincidence that in 2017, more and more companies and corporations started prioritizing sustainability and ethics protocols. We are heartened to see many wellness brands continue to set an example in this space. “For us, sustainability is the world’s greatest innovation challenge,” Nike's chief sustainability officer Hannah Jones told Surface Mag. They recently launched Flyleather, a sneaker made with sustainable leather that has half the carbon footprint of a normal one. Earlier this year, adidas released an UltraBoost sneaker made from plastic found in the ocean—each pair uses the equivalent of 11 plastic bottles. These brands are marketing to health-conscious consumers who are more savvy than ever about the power of their purchases. They’re shopping smarter and paying attention to their footprint as zero-waste living becomes aspirational. 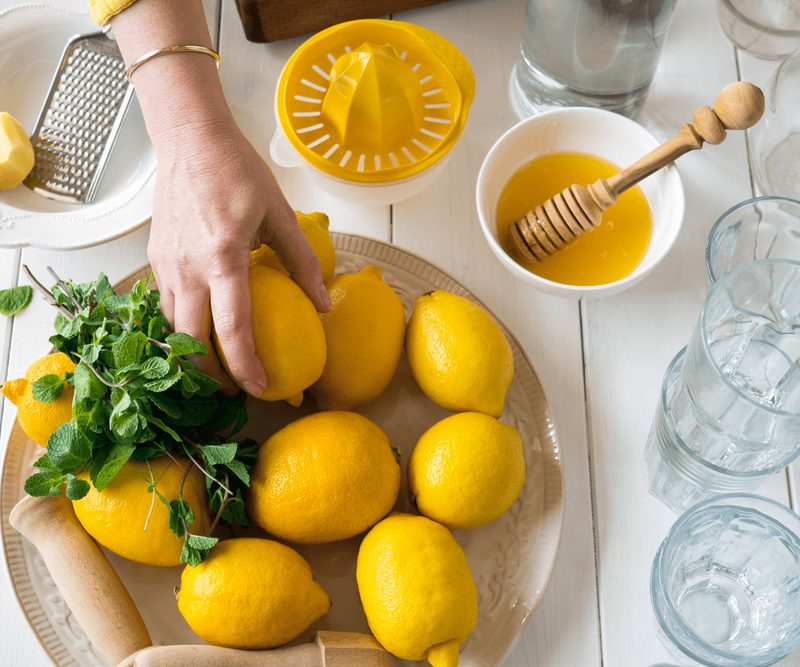 Popular wellness bloggers like Lee Tilghman have taken on zero-waste challenges of their own this year, following the lead of sustainable trailblazers like Bea Johnson and Trash Is for Tossers. The #zerowaste hashtag has now amassed 640,000 posts on Instagram and reminded us unpackaged fruits and veggies are the ultimate zero-waste snack. 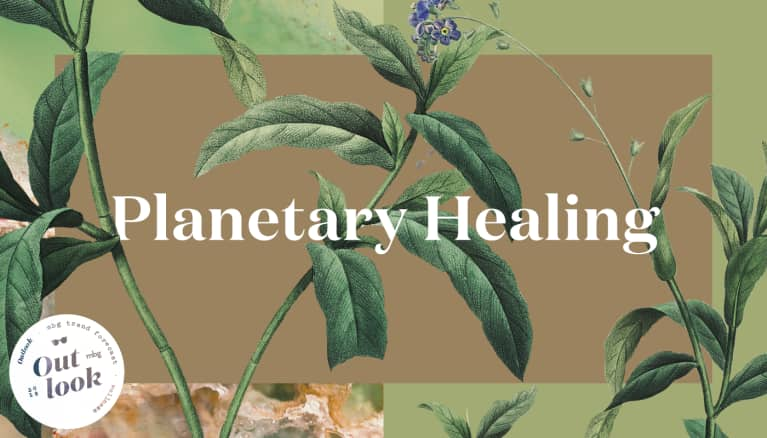 In 2018, those of us who are passionate about our personal wellness will be stepping up our commitment to healing the planet, seeing it’s the only way to be well. 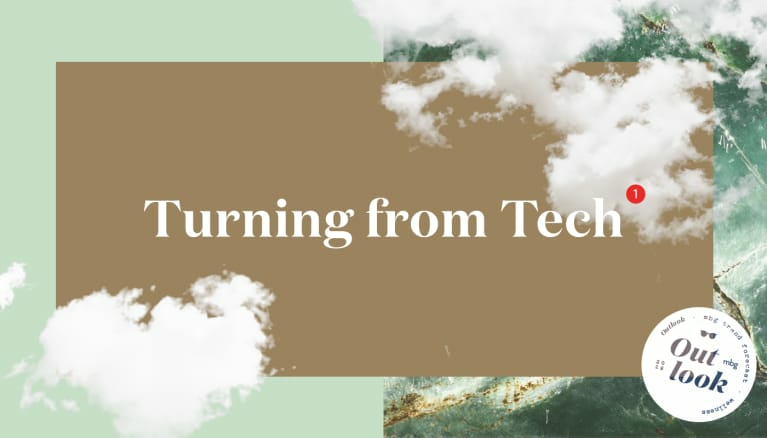 While technology and social media represent a wonderful way to stay connected, they have been met with their fair share of resistance this year. New research shows that those who spend more time on social media feel less socially fulfilled, and the more platforms we are on, the more stressed out we become. Entrepreneurs who have been in the digital space for years are now beginning to step back, one by one, and assess what it is they really want to be creating. Facebook's own Sean Parker revealed that the platform's goal was always to find the answer to, "How do we consume as much of your time and conscious attention as possible?" Other ex-Facebook execs are speaking publicly about its harmful effects on how it's changed human interaction. For a society with a rapidly growing addiction to technology, knowing of the conscious intent to "hook" users and seeing it work is disconcerting. Earlier this year, 60 Minutes released a special on the psychology of technology. We love checking our phones because the apps are designed to grab and keep our attention. "Inadvertently, whether they want to or not, they are shaping the thoughts and feelings and actions of people. They are programming people," Tristan Harris, a former Google project manager, told Anderson Cooper in the interview. Media bigwig and creator of REDEF Jason Hirschhorn recently wrote about how harmful tech really is in a spot-on REDEF post. "The irony that these platforms were built to bring us closer together but may be tearing us apart is not lost on me." The one and only Steve Jobs even told journalist Nick Bilton that his kids were not allowed to use iPads, and he's one of many tech execs who currently impose strict limits on their kids' screen time. Smartphone addiction, which is currently a hot topic on Google trends, has a dark side. There's been a cascade of brand-new research and concern about how tech, which is designed to grab and keep our attention, could be affecting our brains. Research has found that young people are especially susceptible to changes in brain chemistry, which can lead to increased drowsiness, anxiety, and may be linked to the tragic increase in teenage depression and suicides lately. The good news is that addiction is reversible in most cases with cognitive therapy. And as we begin to crave a more intentional relationship with technology, the industry is responding with mindful offerings of its own. Moment is an application that allows you to set a limit on the number of times you can check your devices each day, and the Forest App plants a tree after you spend a certain amount of hours off your phone. Dave Morin, a former Facebook exec who’s founded his own VC firm, Slow Ventures, and now serves on the board of directors for Esalen, is on board with unplugging. In relation to his latest project, Sunrise, a mental health startup to fight depression, he explains this inverse relationship: "The brain is designed for making real-world connections with other humans and learning from real-world experiences. Anything that takes away from that reduces your well-being. So the challenge is in finding balance." At the same time, in-person meeting circles continue to facilitate a return to face-to-face contact. The Wing, an NYC-based female-only co-working space (one of our trends from last year), recently landed a $32 million investment from WeWork, and similarly communal spaces like JIG+SAW, Loom, and WMN Space are also welcoming new members in droves, showing that millennials crave more in-person connection. "Mindful relationships with anything are all about spending time intentionally. Set up your digital life so that you are in control of your attention—not technology companies," suggests Morin. So keep using that phone, but make airplane mode your friend too. 3. Our gut health depends on more than just good bacteria. 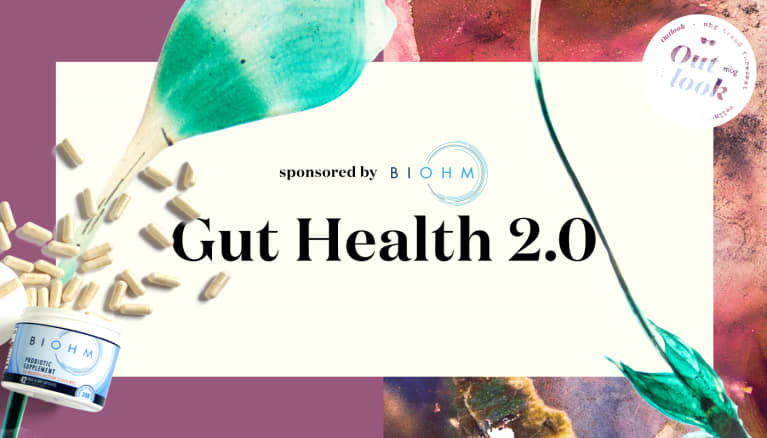 For years the science of gut health has focused on probiotics and maintaining the balance of good and bad bacteria living in the digestive tract. Lately, however, research points to the beneficial role that gut fungi—not just bacteria—play in our health. This expanded awareness of gut health started with prebiotics, foods that contain the fiber that nourishes beneficial bacteria in the gut, like chicory root, apples, and Jerusalem artichokes. We also learned more about the metabolome—like microbiome 2.0, the metabolome includes the beneficial bacteria in the gut but also a number of metabolites and compounds like amino acids that they produce and interact with—all of which affect our overall health. Mahmoud Ghannoum, Ph.D., one of the world’s leading microbiome scientists, has been studying gut health for a long time. And in recent years, he’s focused on BIOHM, the leading gut-sequencing company offering at-home testing kits and probiotic supplements. Dr. Ghannoum was the first to discover the critical role that fungi play in gut health, a role that recent research suggests is even bigger than we originally thought. Historically, fungi have gotten a bad reputation—mostly because of a pesky fungus called Candida that can cause a host of health problems when it grows too much. 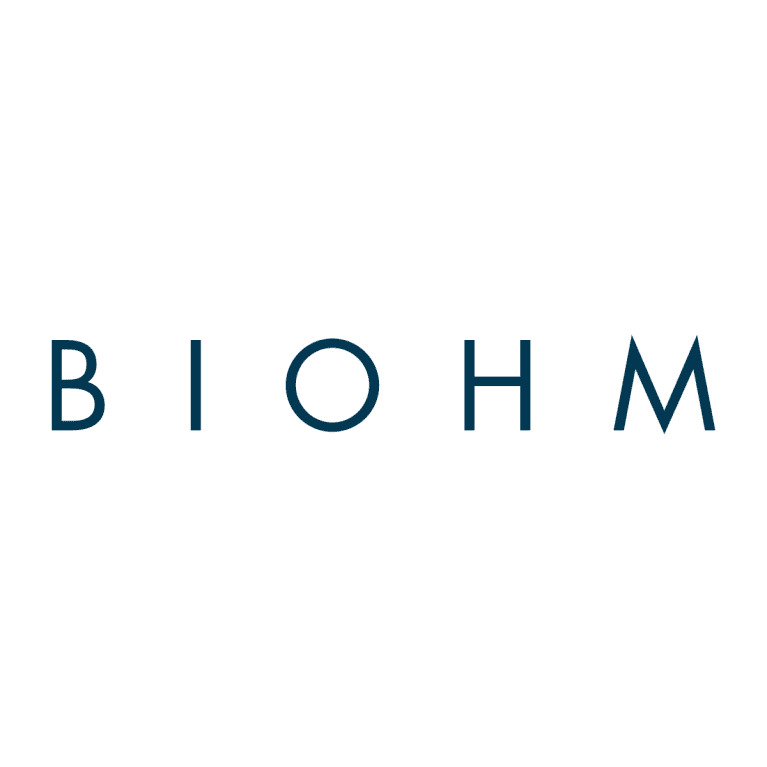 According to Dr. Ghannoum, "The rapidly evolving field of the microbiome is highlighting exciting new discoveries showing that both bacteria and fungi play a critical role in optimizing digestive health. These studies are showing significant cooperation between bacteria and fungi that can impact our overall health and wellness." The key take-away? In 2018, we’ll be optimizing our gut health in innovative new ways. We’ll start to see protocols arise for how to create a supportive environment for our microbes, and just like we learned with bacteria, we’ll start to see the bright side of fungi. Probiotic supplements with added prebiotic fiber will become prominent, and plenty more will start to include beneficial bacteria and fungi. It’s time to zoom out and look beyond just bacteria. 4. With buy-in from consumers and corporations, natural beauty becomes the next "organic food." Until the last few years, natural beauty was a mixed bag. Select products were efficacious while others couldn’t hold a candle to their conventional counterparts. More recently, the best ones were high-end and not accessible to everyone. Now, in 2017, all of that has changed. Not only are we more aware of what’s going into our products thanks to watchdog organizations like the Environmental Working Group (and its ingredient database and ranking system, Skin Deep) and increased demand for transparency, but large corporations are finally hearing our call. Target has been leading the charge on natural beauty since 2008. Since then they've offered natural and "better for you" brands, including Burt’s Bees, Yes To, Pacifica, Seaweed Bath, S.W. Basics, W3LL People and Fig & Yarrow. "This year, we’re rolling out a new beauty store experience and are dedicating prominent space near the center of the beauty department to natural beauty offerings," said Courtney Foster, a Target spokesperson. In addition, they've launched a natural beauty page to make finding naturals products easier. "Given how important it is for our guests to what is in—or not in—their products, Target recently implemented a new chemical strategy that is one of the most comprehensive chemical policies in US retail. This policy promotes ingredient transparency and bans certain chemicals in beauty, baby, personal care and household cleaning product categories by 2020," Foster said. Another example is Unilever. It has emerged as one of the most progressive players in the natural beauty space. Earlier this year, the company promised improved transparency in its ingredient lists, specifically lifting the veil from "fragrance," one of the most mysterious items on a product’s ingredient list. At present, manufacturers selling products in the United States aren’t required to disclose the ingredients that go into the fragrance under the guise of "trade secrets," but many natural beauty companies do anyway, and by the end of next year, so will Unilever. The company also launched a new in-house brand, ApotheCARE Essentials, in November 2017, to meet the needs of consumers demanding hair care, body wash, in-shower oils, and body moisturizers with a cleaner ingredient list. In the same month, Unilever also announced its acquisition of Sundial, which houses brands like Nubian Heritage, Madam C.J. Walker, and SheaMoisture, specifically created for people of color. Natural deodorant is another hot topic, which is projected to grow more than 15 percent every year until 2022. Procter & Gamble got a head start and acquired buzzy brand Native, which is aluminum- and paraben-free. Like Unilever, the corporation vowed to disclose the ingredients in "fragrance" by the end of 2019. "I expect the M&A market to continue to be very active in 2018," said Patrick Finn, founder and managing partner of Finn Capital Partners, a San Francisco-based investment fund focused on early-stage brands in the health and wellness space like Ursa Major Skin care and Kjaer Weis. "I also expect that strategics won’t acquire only one natural brand to fill a gap but a handful—which means there should be a number of seats at the table for scaling brands should they choose to exit." 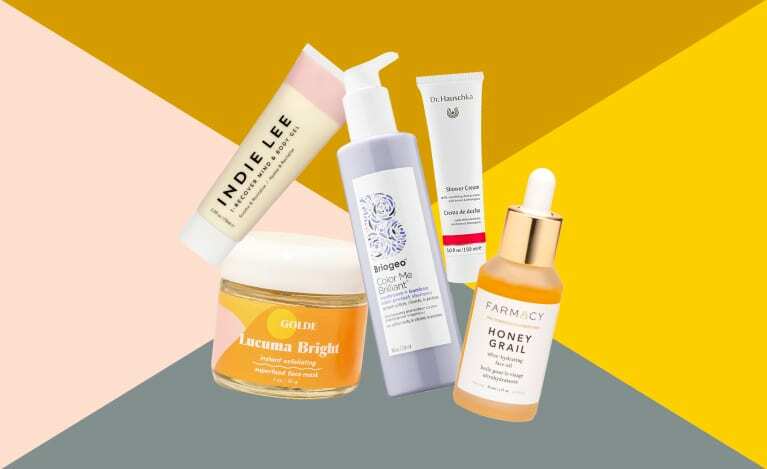 "I am very bullish on the natural beauty category," said Kara Cissell-Roell, co-founder and manager of venture capital firm VMG Partners and investor in nontoxic beauty brand Drunk Elephant. 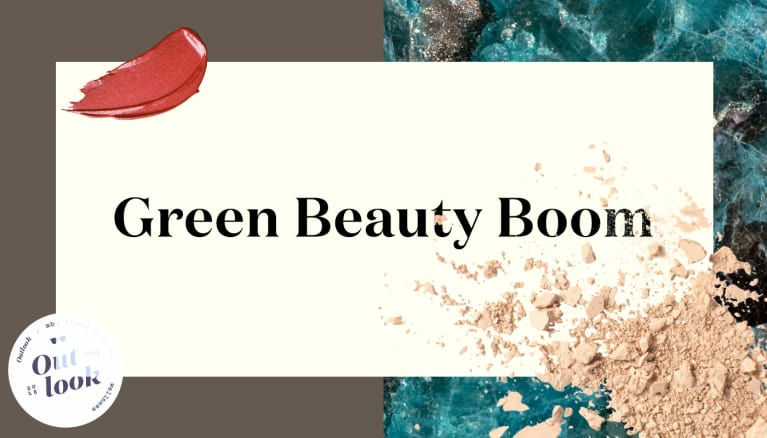 "In particular, natural beauty brands that use high-quality, safe ingredients but also deliver exceptional results—this is the holy grail of today’s beauty market." Growth in the market for large-scale green beauty companies like Sephora and Ulta Beauty is happening right alongside growth of the homespun boutiques we’ve long loved like Detox Market, CAP Beauty, Credo Beauty, and Follain, who were instrumental in shifting the demand for clean personal products. 5. Collagen becomes the ultimate gut-healing superfood. Collagen is one of the cleanest types of protein powders, free of many additives that typically fill the supplement aisle. Consumers are increasingly interested in knowing where their food comes from and exactly what’s in it, and collagen, with its single-ingredient label, serves that demand. 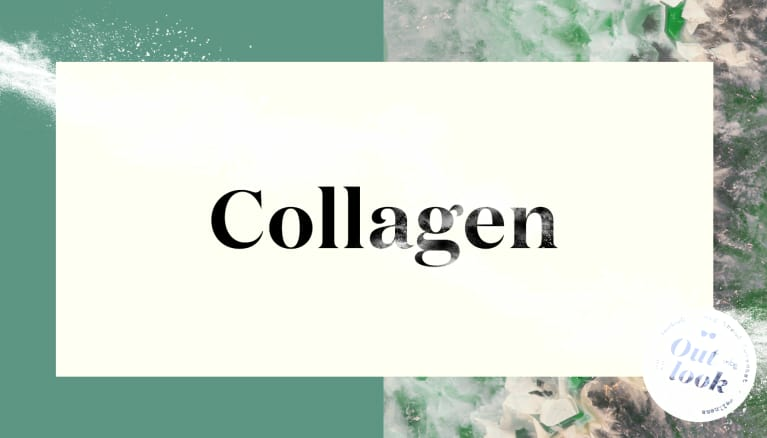 Collagen also has gut-healing properties and is increasingly being used to treat many modern ailments from anxiety to acne. "Collagen is a protein found naturally in our bones, joints, cartilages, and skin," explains Bindiya Gandhi, M.D. "Unfortunately, as we age, the natural production of collagen decreases. Supplemental collagen is great for skin care, anti-aging, repairing the gut, improving wound healing, immune system, and more." As for why collagen is suddenly everywhere: "Emerging science is finally reaching a critical mass and trickling down to everyday consumers," says Will Cole, D.C., a functional medicine practitioner. "People are yearning for ways to deal with the rise of the health problems we are facing as a society. Microbiome and gut health research is a catalyst for people to take responsibility for their health." Vital Proteins, the category leader in the collagen space, has seen 250 percent growth over the past year, and, after the influx of $19 million of capital, that number should only continue to rise in 2018. The brand recently launched collagen creamer and collagen matcha, both of which joined their existing beauty water and bone broth powder product debuted earlier this year. "Expect to see us in even more retailers nationally," founder and CEO Kurt Seidensticker told mbg. "In the next year, collagen will become a foundational product that people use throughout their day. Our goal here is to find convenient opportunities for consumers to take collagen on a daily basis." 6. Intermittent fasting for way more than just weight loss. Last year’s ketogenic trend is still going strong, but a growing body of research is showing that intermittent fasting (IF) is one of the best, proven ways to improve health in the short- and long-term. While many people have success losing weight with IF, its benefits go much deeper. IF is linked to better blood sugar balance, decreased inflammation, and increased cognitive function, too. IF—much like the Paleo diet—somewhat mimics the way our ancestors ate and lived. At revitalize this year, Steven Gundry, M.D., renowned cardiologist and author of The Plant Paradox, explained that "our ancestors didn’t crawl out of their cave and say ‘What’s for breakfast?’ There wasn’t any refrigerator or even any storage system." And it’s true, sometimes our ancestors didn’t find food until lunch or even dinnertime. Scientists are now discovering that this period without food may be quite therapeutic for the body and brain. One of the common misconceptions about IF is that it’s all about cutting calories, deprivation, or weight loss. Amy Shah, M.D., integrative medicine physician and mbg class instructor, often suggests a fasting regimen to her patients in order to fight inflammation, improve digestion, and improve their longevity. 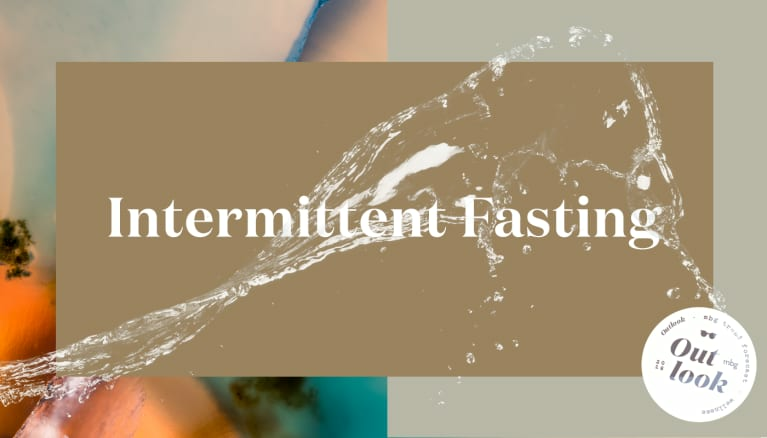 "By modulating your hormones (insulin and growth hormone) and increasing cellular repair, intermittent fasting is a multitasking anti-inflammatory powerhouse." According to Ilene Ruhoy, M.D., and integrative neurologist who uses fasting as a brain-boosting tool before big projects, "IF is beneficial because it slows the regular transport of glucose into the brain cells and allows the existing glucose and glycogen stores to be converted to energy. This energy can then be used to focus on brain cell metabolic processes, enhancing brain function and allowing one to gain greater energy and mental clarity." The conditions that can most benefit from fasting are obesity, type 2 diabetes, polycystic ovarian syndrome (PCOS), and fatty liver disease, according to Jason Fung, M.D., fasting expert and author of the book The Complete Guide to Fasting. He says, "The most exciting benefits of fasting are for the prevention of cancer and Alzheimer's disease." Basically, fasting is like decluttering for your brain, a restorative timeout for your gut, and gives your cells the time to clear out old proteins and other material so they can properly rebuild and regenerate. And so, from the ProLon 5-Day Fasting-Mimicking Diet—developed by Valter Longo, Ph.D., a biochemist at the University of Southern California’s (USC) Longevity Institute—to a simple 14-hour window between dinner and breakfast a few times a week, fasting is looking like the next great way to improve overall health. 7. "Big food" is making big moves. Clean energy bar darling RXBar, notorious for their boldfaced ingredient-list packaging ("Egg White. Almonds. Cashews. Dates. No B.S.") was acquired for $600 million by Kellogg’s, signaling the company’s commitment to increasing consumer interest in healthy eating and transparent, clean ingredients. "Joining the Kellogg's family is not only a great cultural fit, but it provides us with the tools and resources to accelerate our growth so the brand can scale even faster than it is today," said CEO and co-founder of RXBar Peter Rahal. "We know the demand for clean-label snacks is growing, and we're going to continue to innovate to stay ahead of the trend. We're excited to bring RXBar, and soon other better-for-you snacks, to more people in more places." Target committed to stocking its shelves with more organic food and natural beauty, even launching a new accelerator program, Target Takeoff, designed to help wellness companies take their businesses to the next level. "We are looking for change makers with the cultural competence to help communities achieve their wellness goals," the company said. 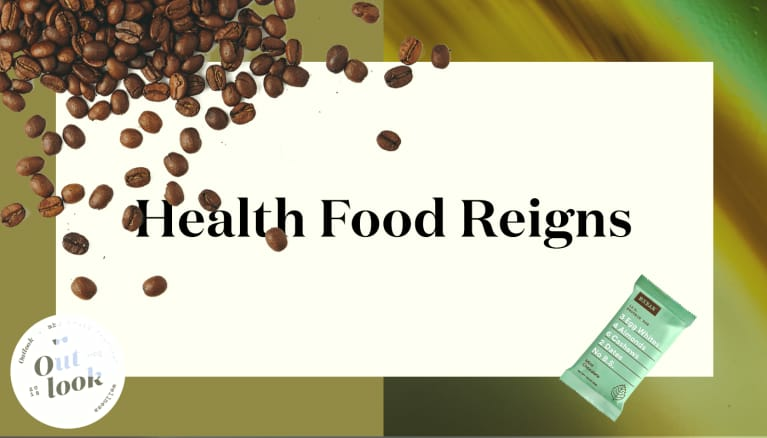 Nestle also demonstrated interest in the indie food space, acquiring vitamin maker Atrium for $2.3 billion, Blue Bottle coffee for $425 million, Chameleon Cold Brew, and vegan food maker Sweet Earth for an undisclosed amount. When compared with the indie food acquisitions made just shy of a decade ago, the numbers are exponentially higher—Bear Naked granola sold for $60 million in 2009, and RXBar sold for 10 times that this year. "Consumers increasingly demand more meaning and nutrition in their products—they want brands that reflect their values and help them meet their wellness goals," said Kara Cissell-Roell, managing director and co-founder of VMG Partners, who has served on the board of babyganics, Health Warrior, KIND Snacks, and more. "As far as 'deal size' goes, purchase prices have grown substantially over the last two years across the board, and I would expect that to continue," she said. PepsiCo has also re-upped its game, serving this population with its North American Nutrition division (who partnered with mbg to find this year’s Next Great Nutritionists). "Size and scale enable us to make nutritious foods and beverages accessible to more people," PepsiCo NAN president Seth Kaufman told mbg. "We can ensure healthy options are always within reach—making sure consumers can enjoy nutritious, convenient, affordable, great-tasting choices every day wherever they are." Looking forward, we’ll hopefully see more sustainable, nourishing products become mainstream, as the power of the corporate world opens up doors of possibility to every person living in this country and, ultimately, the world. 8. Sleeping well becomes a huge priority and a huge market. In the year 2017, we finally made sleep a top priority. 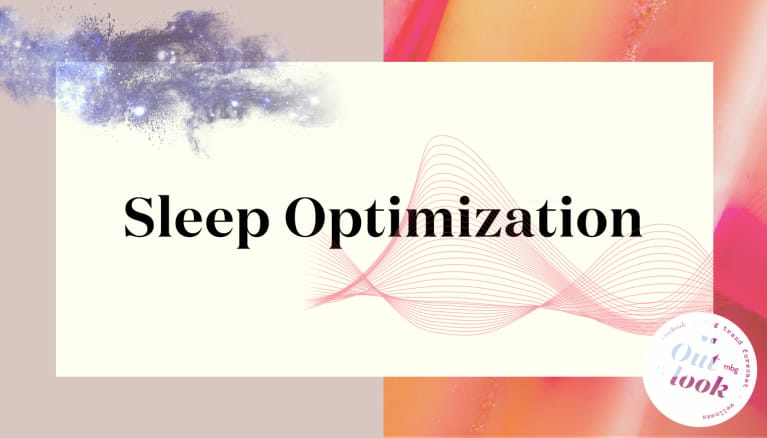 As research continues to find that a lack of sleep can cause weight gain, anxiety, and out-of-whack hormones, and public figures like Amazon's Jeff Bezos name adequate sleep as a driver of success, health-conscious consumers are chasing those sacred eight hours like never before. "In the past, we assumed the uber-successful types slept four to six hours per night and were then productivity machines the rest of the day. These days influencers are coming out and saying sleep is their secret weapon and their No. 1 priority," says holistic psychiatrist Ellen Vora, M.D. "We're learning that you actually can't be a productivity machine without good sleep. As a culture, we're also reaching a breaking point with poor sleep habits, recognizing that when we stay up late into the night scrolling Instagram or watching Netflix in bed, we feel pretty lousy the next day," Vora added. Unfortunately, after years of bad sleep hygiene, many people now have trouble finding the deep, restorative rest their bodies crave. For a little help, they’re turning to new bedroom centerpieces, sleep optimization technologies, holistic relaxation techniques, and sometimes even a little cannabis. 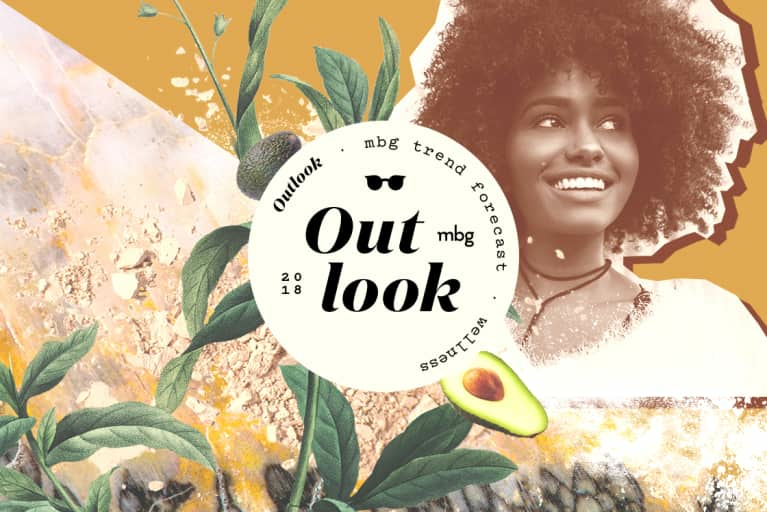 This year, mbg covered the rise of CBD oil as a relaxation tool, watched a neuroscientist’s ode to sleep climb to the top of the New York Times best-seller list, and saw weighted blankets emerge as a trendy accessory to lull us to bed. All the while, mattress companies continued to advertise to tired millennials, spending top dollar on social media campaigns and aspirational websites overselling to traditional brick-and-mortar locales. Casper sold $200 million worth of mattresses and sheets (and dog beds) online last year, and the three-year-old company that promises the "perfect sleep environment" is now valued at $750 million. Other digital-first mattress startups like Leesa, Avocado Green, and Essentia are rounding out the market to create healthier mattresses that promise more sleep (and less toxic chemicals) in what New York Magazine is calling "the golden age of mattresses." Sweet dreams, indeed. 9. 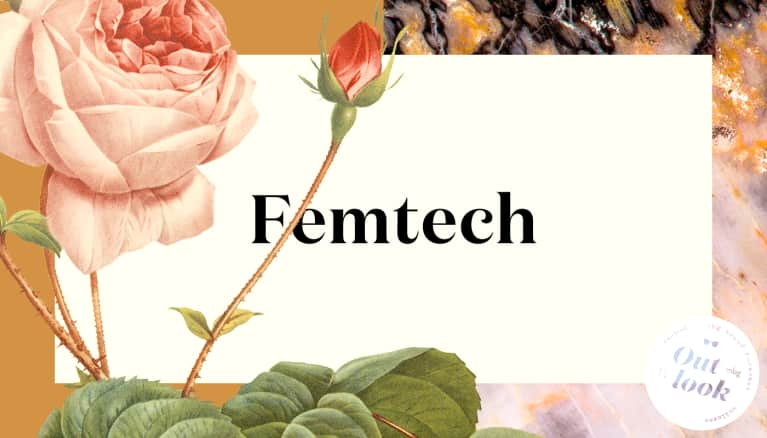 Femtech explodes, empowering women's health. Over the last year, a new $1.1 billion category of tech emerged with the purpose of helping women understand their health and well-being better than ever before: Femtech. As women have come to view fertility as a measure of their overall health—an interest no longer reserved exclusively for the prenatal set—more companies are disrupting the process of fertility awareness and contraception, as mbg investigated earlier this year, making cycle tracking a whole lot easier. Fertility apps like Daysy and Kindara come with a Bluetooth thermometer that syncs with your phone, making early-morning temperature readings super simple to record and decipher. Other companies like ava aim to make the whole experience less invasive (if thermometers aren’t your thing) by tracking vital signs via wrist wearables and delivering predictions and insights about fertility to their phone app. Some startups like Glow focus solely on helping women get pregnant, but even Glow has a sister app, Eve, to track periods and sexual health. As for women who are pregnant, Shell by BellaBeat is an app and phone extension that allows new moms to listen to the heartbeat of the baby without leaving home. Naya made hospital-grade breast pumps look chic, introduced smart digital tracking for feeding and pumping, and is starting a rental program as a more cost-effective and eco-friendly option for nursing women. Cycle tracking apps like Clue, which has high accolades from both press and users (and one of the best displays of information and breadth of recording parameters we’ve seen); MyFlo, which provides lifestyle adjustment suggestions based on your symptoms; and Natural Cycles, the temperature-reading app designed to help women with period tracking and contraception, allow for fast recording, tracking, and insight development. 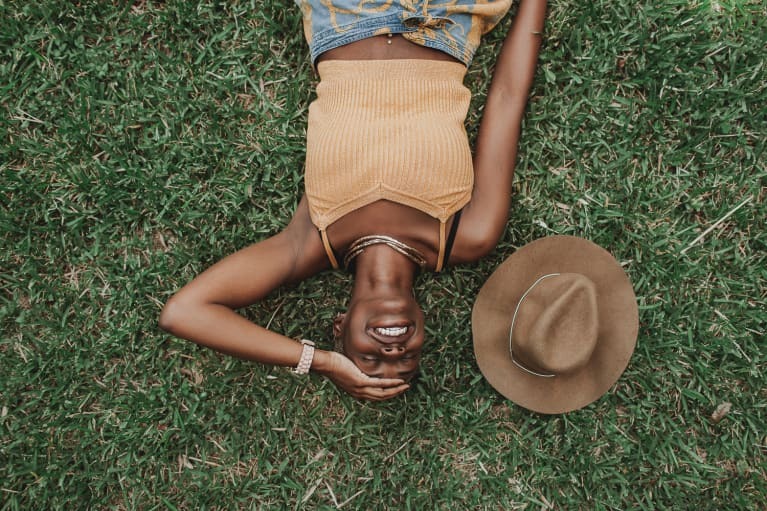 As women learn more about how their sexual health and fertility informs overall health, we’re able to make informed decisions based on our unique biology for next-level self-care. The discussions at mbg’s annual revitalize event are uncanny predictors of up-and-coming wellness trends. 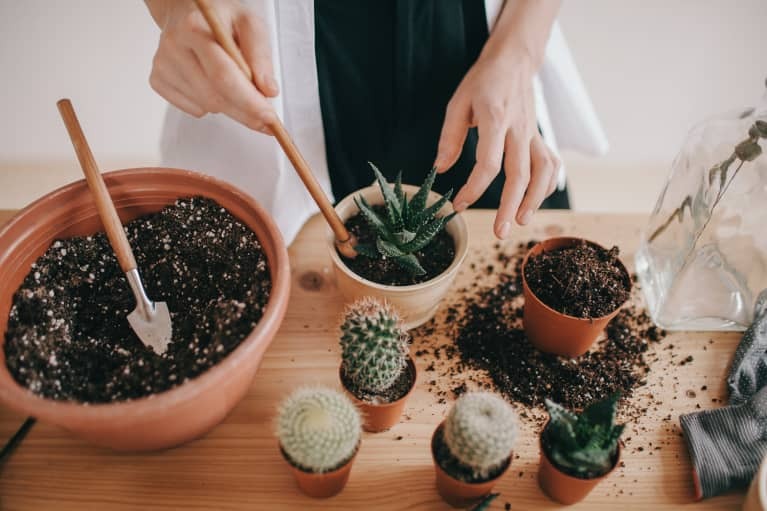 Four years ago, everyone left the Arizona desert buzzing about their microbiomes, a word that’s become mainstream as people around the country have realized the importance of their gut health. This year, that word was mitochondria. Forward-thinking doctors Frank Lipman, M.D. ; Vincent Pedre, M.D. ; and Mark Hyman, M.D., took to the stage to discuss how vital mitochondria are to almost every facet of our health—or, as Dr. Hyman put it, "Problems with the mitochondria are usually related to the very common FLP (feel-like-crap) syndrome that so many people suffer from." According to Dr. Lipman, "The mitochondria are power plants in the cells that turn your food and oxygen into energy in the form of ATP. These mitochondria power the biochemical reactions in your cells." When they’re not functioning optimally, people can expect to "get less from (their) body and brain, feel more tired, and age quicker." The best way to fuel the mitochondria? Eat more healthy fats. "At this point, I hope most people know that healthy fats are not only good but necessary for proper bodily function," Dr. Lipman explains. "Mitochondria prefer to be fueled on fat, not sugar or carbs." 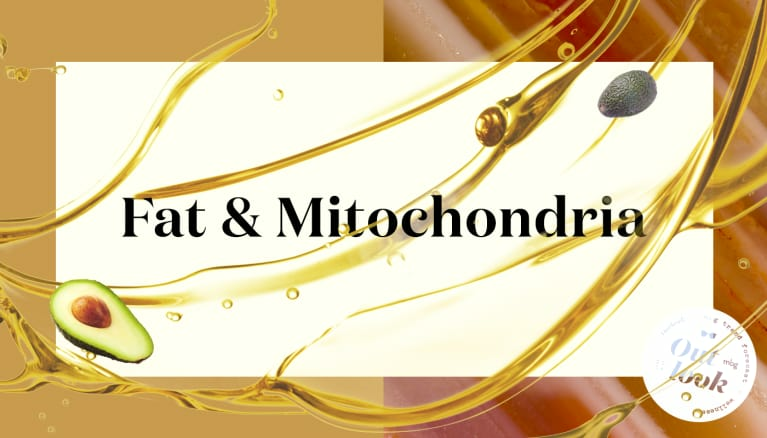 The growing interest and research in mitochondrial health have spawned a pro-fat revolution. The increasing popularity of the ketogenic diet, which is based on high fat consumption and credited with a number of positive health benefits, has only helped the pro-fat movement spread faster. In 2018, look to see bigger brands embracing what’s already been embraced at a maker level, with more high-fat focused and ketogenic products becoming available in grocery stores everywhere. Until then? Make your own fat bombs, keep eating that coconut oil, and stock up on avocados. 11. Breathwork rises in popularity as an advanced alternative to meditation. Mindfulness and meditation are booming. With a market size of $1.1 billion as of 2015 (it's only grown since), which is part of the overall $16 billion market of alternative health according to market research firm IBISWorld, it's clear that stressed, anxious, and goal-oriented people are looking for ways to manage, respond to technology's unrelenting poke, and improve their relationship with their own minds and bodies. A market this large gives rise to segmentation, and mbg predicts breathwork will be a buzzword in 2018. At our annual revitalize conference this year, breathwork sessions were by far the most in-demand. Teacher and meditation guide Ashley Neese, as well as human performance expert Brian Mackenzie and neurobiologist Andrew Huberman, Ph.D., discussed how breathwork is quickly becoming the next frontier in wellness. "I’ve seen a huge increase in demand for this work on the private, group, and corporate levels because of its effectiveness and accessibility," Neese said. "Breathwork is a foundational practice making it such a popular wellness modality." "Meditation, while useful too, is not available in moments of stress whereas specific patterns of breathwork can be used anytime, anywhere to buffer stress, raise energy levels, and impact clarity of thought and decision making," said Dr. Huberman, who runs the Huberman Lab, a research division of the neurobiology department at Stanford University. "People are interested in how they can control their internal real estate," he said. "Specific patterns of breathing are a powerful knob on the nervous system and the body, in order to control state." Indeed, one of the reasons for its resurgence—it was a popular spiritual practice in the '70s and '80s—is the scientific evidence of its efficacy to shift the body from a sympathetic, anxious state to a parasympathetic relaxed one. Conscious breathing activates the diaphragm, which stimulates the vagus nerve, much like laughter. "Through conscious manipulation of one’s breath, an individual can adjust personal chemistry and personal well-being," said Nevine Michaan, founder of Katonah Yoga who teaches breathwork as an integral part of the practice. Mackenzie prioritizes breathwork techniques in training his clients, who are some of the top athletes in the world. "You can train the muscular and cardiovascular systems all you want, but if we don't understand the role of the pulmonary and respiratory system, we are missing out on essential improvements." He and Dr. Huberman are partnering on a series of breathwork protocols. 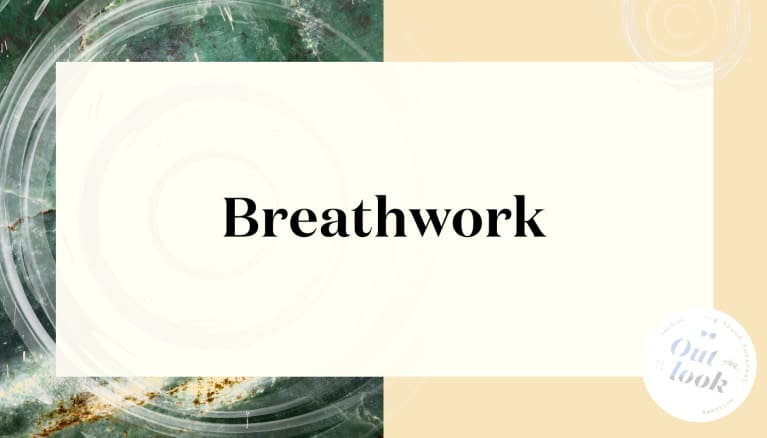 "Breathwork, as we define it in our lab and in the protocols Brian MacKenzie and I are developing, has defined parameters (inhale duration, exhale duration etc. ), and these are tailored to the individual, much like a physical workout. Both meditation and breathwork are valuable, but most people find breathwork to be a faster and more effective means to access the states they want," Dr. Huberman said. "A well-trained pulmonary system allows the 'warm-up' period [for an athlete] to integrate quicker, and can help with early competition or training jitters. Not to mention the ability to understand metabolic shifts that we were otherwise blind to before," said MacKenzie. In that same vein, the Wim Hof Method has garnered media attention this year for its ability to give people superhuman self-healing powers. Hof is known as the Iceman because he holds the Guinness World Record for longest ice bath, running a marathon above the Arctic Circle without a shirt, and holding his breath for up to six minutes. Tony Robbins enlisted Hof to be a part of his speaking tour this year. His recent profile in Rolling Stone explains how he wants to heal the world, one WHM breath session at a time. Hof asks his clients to take 40 deep inhales and exhales, hold the breath, then take a long deep breath. During this time, a cascade of hormonal interactions occurs that, according to Hof, decrease inflammation and boost immunity. But breathwork, like meditation, is experiencing a trifold revival: Biohackers are using it as a shortcut to a meditative state, scientists are studying its effects on the nervous system, and yogis are increasingly adding it to their regular practices as esoteric practices like Kundalini and advanced breathwork continue to gain popularity. "Breath is the quickest way to connect to ourselves," Neese said. "We all do it automatically, but when we learn to do it in a more controlled way, we have access to our intuition and feelings." With supernatural benefits that promise to help ease anxiety and access intuition, wellness will see more breathwork in 2018. The big question for 2018 remains: What's going to happen with athleisure and boutique fitness? As 2017 winds down, boutique fitness is bifurcating. 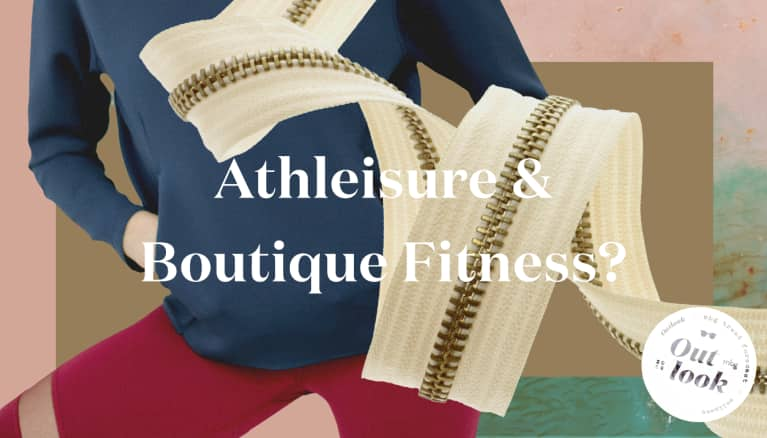 If the athleisure market is any indication of the fitness industry, it’s seen fits and starts. Several market analyses reported the category had finally hit a peak in 2017, but recent news about Lululemon’s unexpectedly high sales this fall bucks that trend. Plus, WWD reported that it’s not cooling off anytime soon. Marshal Cohen, market research group NPD’s chief industry adviser, said, "[W]ardrobe-building has caused a slowdown, but not a disappearance," of athleisure. Instead of decking out in head-to-toe athleisure, women are integrating activewear into their street attire, which is driving the trend. In general, the boutique fitness boom is winding down (raising the question: Will ClassPass survive? ), but a few key players have risen above the rest—and they’re either going deluxe at the studio or bringing personal fitness home. Flywheel just launched an at-home bike in direct competition with Peloton, which is rumored to release a treadmill next year. Peloton has created a cult following of 250,000 subscribers across the country, showing huge potential for more accessible fitness models. "I think consumers are looking for optimal flexibility with their fitness—to have the experiences that they love available to them whenever and wherever they want them," said Sarah Robb O'Hagan, CEO of Flywheel. "Whether that means in a bricks-and-mortar studio with the energy of their community around them or in their homes, where they can stay connected digitally to that same community." On the flip side, SoulCycle is expanding horizontally with the SoulAnnex studio, which offers fitness classes led by instructors with expertise outside the bike. They’re also partnering with French beauty company Le Labo to bring studios better personal care products, making a trip to the studio feel more luxe. Barry’s Bootcamp just upgraded their personal care offerings from Malin + Goetz to Oribe, a more expensive brand. So what does this all add up to? Are we finally seeing a slowing down of the amazing run of the athleisure category? Will people prefer an expensive piece of equipment in their home to shelling out money for group classes? Only time will tell. What we are sure of is a dynamic and exciting market. We’ll keep you posted as it all shakes out.